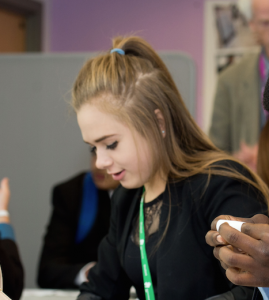 Charlotte is a Year 11 student studying Computing at Bucks UTC. She secured a placement with our employer partner BeSeen Marketing, a Digital Marketing Agency based in Beaconsfield. 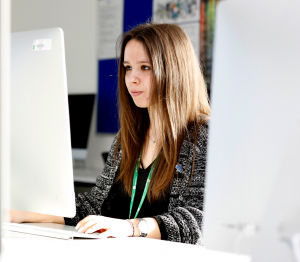 Having an interest in web design, Charlotte was keen to develop and test her skills. She was set the task of working with the BeSeen development team to design and build the ‘Fair 4 All’ website for a local charity, Buckinghamshire Disability Service (BuDS). Using Adobe Photoshop, Charlotte designed concepts for the homepage and inner pages of the website. She then assisted in building the site on a WordPress platform. Charlotte gained valuable work experience and insights into the practical side of developing a website. 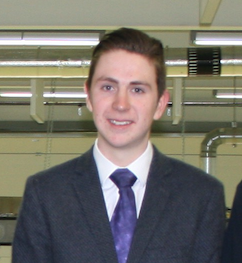 Year 11 student, Kasey, has been working with engineering company BuroHappold. His placement has focused on Computer-aided Design (CAD), Revit and Dialux software. CAD is widely used in construction to create technical drawings which are extremely accurate and realistic. One of the projects Kasey was given while with BuroHappold was to adapt the components of an air conditioning unit to cater for rooms of different sizes. He also learnt how to use Dialux, lighting design software, and he was taught how to simulate different lighting conditions onto different materials. Natalia is an aspiring web developer in her last year at Bucks UTC and, in addition to her studies, has been on a work placement with our employer partners BeSeen Marketing. Working within their web development department she has gained a huge amount of real-life experience and practical knowledge. Her main project during the placement has been to develop a new website for BuDS, a local charity that speaks up for the interests of disabled people in Bucks.